Cities, campuses, and expanded horizons. Discover more ideas here, with ancient history, adventure, giving back, and family roots. Every trip helps advance the cause of global citizenship, or broad thinking, by expanding children’s frame of reference. But visiting emerging powers such as China or India may comfortably acquaint teens with their future colleagues. Ezon also supports introducing teens to non-U.S.-centric viewpoints. “If you travel to Hanoi, for example, you’ll hear people talking about what they call the ‘American War,’ he notes. “You’re showing children how, in everything in life, there are multiple perspectives. CLOSE TO HOME: Canadian provinces, while vast, share a reputation for tolerance and diversity. Québec, the French-speaking strong-hold with some of the oldest cities in North America, is a good place to start. Your travel advisor can work with Virtuoso’s local tour provider, Entrée Canada, to tailor journeys to your family’s tastes. Consider the company’s ten-day exploration of the province, which blends history, culture, and natural scenery while stopping in Montréal, Québec City, Mont-Tremblant, and beyond. 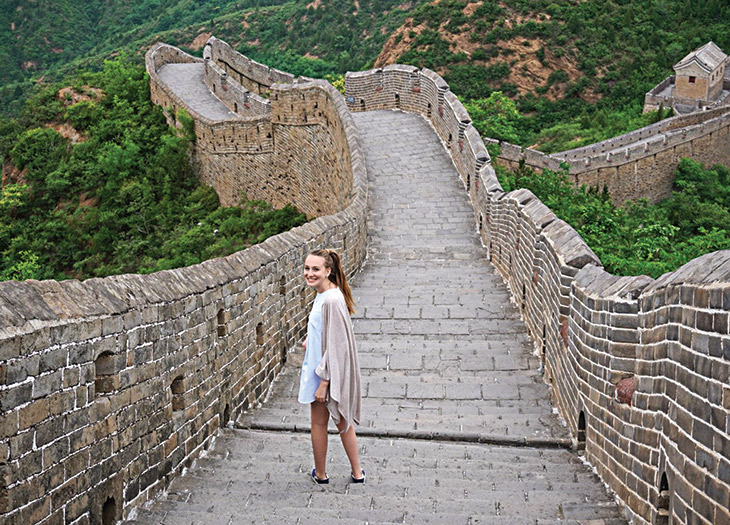 FARTHER-FLUNG: Experience the wonders of ancient China, including the Great Wall and Xi’an’s Terracotta Warriors, along with the whirl of contemporary Chinese life while visiting emerging artists in Beijing and riding the bullet train to Hangzhou during a private ten-day tour with Remote Lands. If travel is about expanding a child’s worldview – or going far and wide – it’s also about going big. Unless they live in a major metropolis, most kids are astonished at the scale of a New York or Paris or Tokyo. And a parent can be the perfect guide, safely exposing them to the thrill of density. Cities, too, are often epicenters of youth culture that naturally resonate with teens, and provide a chance to seek their input on where and how to travel. CLOSE TO HOME: From the Statue of Liberty to the urban backyard of Central Park and the bustle of Broadway, New York City is like no other. Working with your travel advisor, Virtuoso’s on-site tour provider Beyond Times Square offers a collection of insider experiences, from museum scavenger hunts to neighborhood culinary excursions. Highly suggested: the company’s four-hour Harlem: Yesterday and Today tour, which can be extended on Sundays with a gospel choir experience. FARTHER-FLUNG: Harry Potter, Charles Dickens, Adele: London claims them all and more. Survey the city from on high in the 202-room Shangri-La Hotel, At The Shard, housed in the 34th to 52nd floors of the London Bridge Tower. Shopping for a college is a multiyear research project. But it’s not all books, brochures, and clicks. 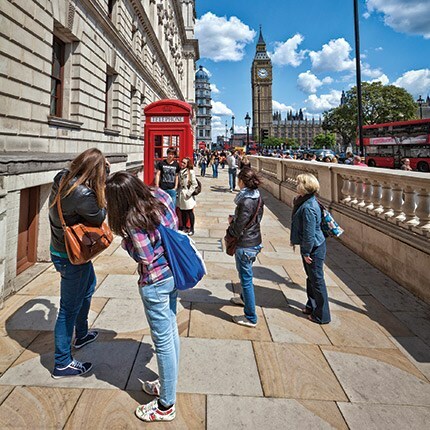 Campus visits offer the opportunity to see the country and taste life in other regions while deciding on small versus large schools or technical versus liberal arts programs. Most experts recommend stretching out the process beginning in the spring of your child’s sophomore year and ending in the winter of senior year to avoid the stress of cramming. Long weekends in autumn or spring are particularly good times, as classes are in session and campuses are active.